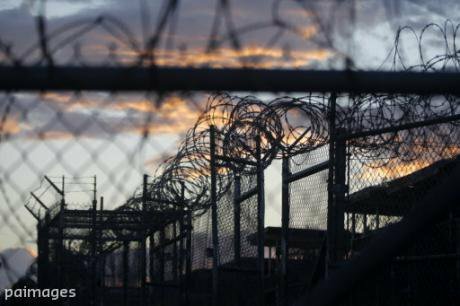 Fourteen years after arriving at Guantánamo, Ravil Mingazov is now due to be released. But returning to Russia could bring harassment, torture and the threat of further imprisonment. The now closed Camp X-Ray, the first detention facility for suspected al-Qaida and Taliban militants. (c) Charles Dharapak / AP / Press Association Images. All rights reserved.Almost 14 years after arriving at Guantánamo, Ravil Mingazov, the last Russian prisoner held there, was cleared for release on 21 July 2016 by the administrative periodic review board. Having fled Russia prior to being detained at Guantánamo, Ravil Mingazov has made it consistently clear that he does not wish to return home. An ethnic Tartar, Mingazov, 48 trained as a successful ballet dancer and later served in the Russian army as a logistics warrant officer. He never trained for combat duty and spent his first two years in the military ballet troupe. He was later assigned to passport control duties on the border with Mongolia. Following the dissolution of the USSR in 1991, Mingazov left the army and worked in food supply to the Russian military. In the late 1990s, Mingazov started to practice the Islamic faith. Restrictions on freedom of religion in the Russian army — prayer, halal food — led him to advocate for himself and others. This resulted in persecution, including having his home ransacked. He left Russia for Tajikistan with his young family in 1999, and two months later when his young son fell ill, he sent his wife and child back to Russia for medical treatment. Mingazov himself travelled to Afghanistan after having been thrown out of Tajikistan along with other foreigners but was greeted with suspicion as a Russian. He survived by doing odd jobs. After 9/11 and the US invasion of Afghanistan, Mingazov fled to Pakistan. According to the US military, however, Mingazov had trained with the Taleban and was an explosives expert. This information was repeated during his review board hearing. A few days after his arrival at a guesthouse in Faisalabad in March 2002, Mingazov was arrested in a bloody raid that netted others, including Abu Zubaydah, who was believed by US security sources to be a “senior Bin Laden official”. The Pakistani authorities held the men and then sold them to the US military. The US later conceded it had tortured the wrong man, but at the time considered Abu Zubaydah, a stateless Palestinian, to be of high value. Mingazov’s tenuous association with Abu Zubaydah allowed the US authorities to claim that others like Mingazov were dangerous and valuable. After being taken into US military custody, Mingazov was held and tortured at Bagram in Afghanistan before arriving at Guantánamo in October 2002. The US has never given any reasons for his arrest or detention. Allegations of membership or involvement with Al Qaeda and Tajik militants have never been proved. In May 2010, Mingazov won a habeas corpus case and a district court judge ordered the Obama administration to release him immediately. The government appealed and while further proceedings were granted, they stalled and were not resumed. In March 2016, Mingazov’s lawyer filed a petition for the appeal to be heard again. Detention photograph of Ravil Mingazov. Photograph: WikiLeaks. Before that case was heard, however, as part of Barack Obama’s plan to reduce the number of prisoners held at Guantánamo, announced in February 2016, “forever” prisoners such as Mingazov, who are slated to be held indefinitely without charge, were granted reviews of their status to determine if they could be released. This administrative hearing was the first opportunity Mingazov has had in over 14 years to put his case across: he expressed his desire not to return to Russia, and the possible fear of arrest if returned there. Mingazov’s fears are not unfounded. In 2007, Human Rights Watch (HRW) published The Stamp of Guantánamo, a report revealing stories of persecution suffered at the hands of the US and the Russian state by the seven men who returned home in 2004. One man, Ravil Gumarov, concurred with Mingazov’s view that the treatment in Russia is worse than at Guantánamo. Like Mingazov, these seven men are from persecuted Muslim ethnic minorities. All had left Russia either as a result of persecution and discrimination on religious and ethnic grounds or lack of freedom of religion. At least two had been tortured by Russian police before they left the country. All were detained and charged upon their return to Russia, but the charges were soon dropped due to a lack of evidence. Once released, however, harassment continued, including surveillance, frequent interrogations, threats of violence and even kidnappings. Several men were imprisoned without fair trial or tortured in confessing to acts they had not committed. Two cases of post-release persecution stand out. Rasul Kudaev, who has a pending case at the European Court of Human Rights against Russia for torture, was forced to confess under duress of torture to involvement in the 2005 attack on the southern Russian city of Nalchik that left over 100 people dead. Kudaev’s implication in the case allowed the Russian authorities to add an international gloss to the case and justify its disproportionate response to the incident. Slammed by Amnesty International as a “textbook case of criminal injustice”, Kudaev’s fate also proves how the stamp of Guantánamo can continue to haunt former prisoners long after they are released. Having lost an appeal in early 2016 along with others, he is currently serving a life sentence at a penal colony. Likewise, the ordeal of Airat Vakhitov from Mingazov’s home town of Naberezhyne Chelny continues. On return from Guantánamo, Vakhitov was detained and harassed for speaking out about the abuse the former prisoners faced on their return. Vakhitov fled to the Middle East, seeking refuge in Turkey where he has lived with his family for many years, all the while remaining a spokesperson for Muslim political prisoners in Russia and elsewhere, and has openly denounced ISIS and terrorist organisations. Vakhitov was arrested shortly after the terrorist attack on Istanbul international airport in late June 2016 and implicated in the attack by the media — his detention at Guantánamo provides grounds for suspicion. Mingazov’s compatriots are still not free more than 12 years after being released. Once cleared for released by the periodic review board, it usually takes a further 30 days at least for Guantánamo prisoners to undergo a further six-agency review to be approved for transfer. 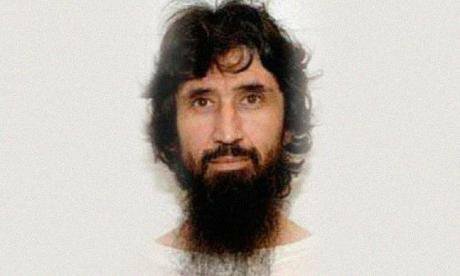 Ravil Mingazov should be free to leave Guantánamo by the end of August 2016. The risk of torture and persecution on release to Russia has not diminished, nor has the persecution of religious and ethnic minorities. Mingazov has stated many times he would prefer to remain in Guantánamo than be transferred to Russia. During the review hearing, it was stated that if he were released to Russia and not detained there, he would probably live with his mother until he could afford to leave the country. Effectively a refugee since he left Russia in 2000, Mingazov asked to be sent to the United Kingdom, where his son, now a teenager with no recollection of his father, his ex-wife and her family have been granted refugee status as of 2014. After the family’s return to Russia in 2000, the harassment continued. A pending application for family reunification, which would allow Mingazov to join his family in the UK, was made in 2015. Many letters of support have been written by his ex-wife and her family. In one of many letters, his son wrote, “For me, the most important thing in my life is to get my father back”. Life after Guantánamo can remain bleak, and rehabilitation from torture and incarceration are challenges. But the opportunity to start again with his family in the UK could offer this refugee important hope for the future.